Playing at an online casino offers many benefits over heading to a land based venue, and those benefits go beyond just comfort and convenience. Online casinos offer all kinds of incredible bonuses you will never find from a land-based casino. We explain the types of bonuses exclusive to web based casinos and how you can take advantage of these when playing online. Playing online literally gives you access to thousands of slot games, with Internet casinos offering an epic range of variety when it comes to game types, themes and features. To give you the chance to sample online slots without having to risk any of your own money, online casinos frequently offer free spins bonuses, allocating a certain number of spins to your account to use on selected games. Free spins allow you to win real money without having to lay down any of your own first. Agent Spinner Casino – Sign up for an account and you will get 100 free spins spread out across five days credited to your account, no deposit required. Read the full Agent Spinner Casino review. BGO Casino – Sign up for an account and instantly get 50 fair spins to use on NetEnt’s Starburst, Hansel & Gretel, Aloha Cluster Pays, and Shangri-la Cluster Pays slot games credited to your account on your first deposit. Read the full BGO.com review. Euro Palace – Receive 100 free spins to use on selected games spread out over your first three real money deposits with the venue. Read the full Euro Palace Casino review. Rizk.com and many other casinos maximise your first deposit by matching it. Matched deposit bonuses are the most commonly found bonuses offered by online casinos. This is where the house will match the amount of money you deposit to your account up to a specified limit, doubling or tripling the amount of real cash you get to play with. For example, an online casino may offer a 100% matched deposit up to $100 – this means if you deposit $100 cash to your account, the casino will match it with an additional $100, giving you $200 all up to play with. It’s the equivalent to walking into a land based casino and having the croupier hand you a betting chip for every one you buy, an impossibility we’d never see in real life. Royal Vegas Casino – New players can receive up to $1200 in matched deposit bonuses spread across your first three real money deposits. Read the full Royal Vegas Casino review. 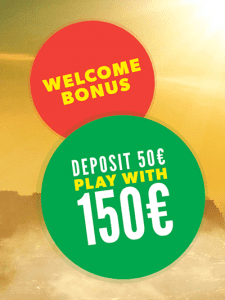 Euro Palace – Claim up to $500 in matched deposit bonuses when depositing real money to your account for the first three times. Read the full Euro Palace Casino review. just use the promo code, ‘IGBITCOIN200’. Read the full Ignition Casino review. Joe Fortune – Joe Fortune rewards your first nine deposits with matched deposits of 200% and 100%, allowing players to claim a total of $5,000 in free money all up. Read the full Joe Fortune Casino review. Can you imagine playing in a land based casino and the house offering a portion of your losses back, just out of the goodness of their heart? Of course not, but this is exactly what you’ll find when playing online. As an incentive to play, online vendors will often release one-off cash-back offers, usually on a specific game or over a specific period of time. For example, to attract players to try a new slot game, the venue might offer 10% cash back on all losses on that game within the first few days of its release. Cashback offers are only available to registered players, so you’ll need to have an account with a casino to know when these bonuses become available. Opt in to receive promotional emails from the venue when you sign up to stay in the loop of any cashback offers. Euro Palace hands out regular prizes, such as tickets to exclusive VIP party events. Thanks to their web based format, online casinos have much lower operational costs than their land based counterparts, leaving them with more room to be generous with their money. Instead of having to pay security guards, dealers, cleaners and hospitality staff, online vendors can afford to offer much better, more lucrative one-off promotions to their loyal players, with prizes often including cash and real world items. Once again, these are promo offers available only to registered players, so it pays to sign up with a bunch of our recommended casinos so you’ll be eligible to join when these offers arise. Cash and real world prizes can be won as part of random raffle draws, slot tournaments, leaderboard challenges, trivia competitions and much more. We’ve seen casinos give away everything from luxury cruises to iPhones to cold hard cash, something land based vendors very rarely do. Sign up for an account with any of our recommended casinos and you’ll automatically become part of the casino’s loyalty rewards program. This is the venues way of thanking you for choosing their site and giving you an incentive to play at one venue instead of spreading your time around various sites. For every real money bet you place at the casino, you’ll start earning loyalty points which go towards moving you up through different loyalty tiers. The more points you earn, the bigger the bonuses you’ll be eligible for, with loyalty programs offering things like birthday bonuses, cash back offers, exclusive matched deposit offers, free spins and more. If you’re a high roller and spend a certain amount of time or money with one venue, you’ll also be eligible for VIP status. VIP programs open you up to exclusive benefits, like your own personal account manager, higher deposit limits, faster withdrawals, tickets to VIP events and more. When taking advantage of a bonus offered by an online casino, it’s important to remember all bonus offers come with special terms and conditions. More often than not, online casino bonuses have wagering requirements attached – this is the amount of money you’re required to spend at the casino before you can withdrawal any winnings made from your bonus money. Always read the fine print of a casino bonus offer before making a real money deposit to ensure you’re aware of what’s required on your end in order to avoid any disappointment down the track. Start enjoying the benefits online casinos have to offer, and sign up for an account at Euro Palace where new players can receive up to 100 free spins and $500 in bonus money spread out over your first three real money deposits.